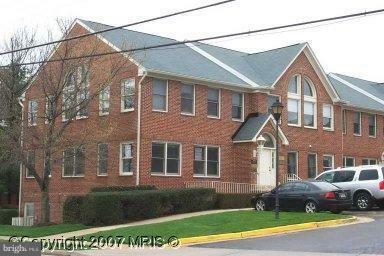 Desirable 1st floor unit in Woodson Square on Main St between Apple FCU & Woodson HS and close to Fair City Mall! Nice layout in great condition: recep/admin are w/closet, large conf rm, 2 prvt offcs, kit, BA, util closet. Plenty parking! Exterior uniform signage avail. Move-in ready! Lckbx on front outside railing.